this is my 1st post here. I am glad I found and joined this forum. So many talented brickfilmers here! I hope some day I will achieve that level of animation! Escape – Episode II is a big Star Wars fan production. 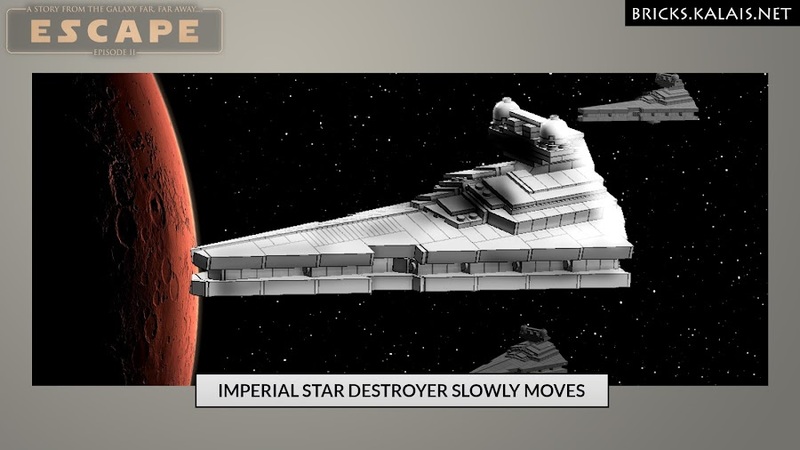 It is LEGO stop motion animation with a totally new story from the galaxy far, far away.... Empire forces led by Darth Vader are on the hunt for a Jedi Knight who survived the Jedi Purge. It is an animation full of great adventures with rebels, Empire and bounty hunters. Filled with great locations and spaceships. You will meet both already well known characters and a new heroes. Story is told with epic shots in beautiful custom brick-built sceneries and with dynamic action scenes. Animation will be available for free to watch on YouTube. The pre-production of animation is almost complete and now it is going into production stage and looking for funding via crowdfunding at Indiegogo. Dominik Skarbek-Kruszewski aka Kalais is a professional graphic designer, photographer and film maker. He is also a big fan of Star Wars and LEGO! He creates custom models, dioramas and animations. He made several LEGO stop motion videos including commissioned videos for the LEGO Group. You can view his works at YouTube, LEGO Blog, LEGO Life App, The LEGO Batman Movie DVD/BLU-Ray and they are even displayed at Ninjago City buildings at The LEGO Ninjago Movie. This is why he would like to quit his job for 1-2 months and spend all his working time on the making (and finishing) this animation. Also the crowd-funding money would get him better camera/lens, professional software for stop-motion animation, some additional lights and some more LEGO bricks for the scenery. Too more links in message. Allowed 2 links. Reduce number of links and post it again. Wow! That looks massive! I am looking forward to seing more of your work. BEAUTIFUL MOCs my friend. I'm excited for your project! This looks fantastic! Keep up the good work! Thx for all donations! There is still a lot left to reach the campaign goal. Even 1 USD can help so if you like this projects please help it! Btw. I made some test scene yesterday. It was shot in 12 Frames Per Second, instead of 24. If campaign fail I might consider shooting whole movie at this frame-rate to save time and lower the budget. P.S. I also tested Lightsabre blue light (made with external (placed behind the scene) LEDs), but I am not sure I will use it. It gives some blue/purple lightning to the scene and I am not sure it look good. Gives some kind of light flicker. What do you think? I really like the extra light on the lightsaber. Treating them as actual light sources was one thing I thought The Force Awakens did really well. Go for it! However, be sure the angle of light and resulting shadows matches the angle of the the lightsaber in relation to his body. If the lightsaber is in front of her, the back of her cape (realistically speaking) wouldn't get any light on it. Anyway, when I was making Escape - Episode 1 I had very limited number of bricks and wanted to create this Jedi-space-samurai-type of character. I ended up with version 1. Now I have a bit more bricks and I am thinking about changing hair to newer molds. What do you think? Which one is the best in you opinion? I second what William said! Yeah 3 for sure. Way more badass than the others. 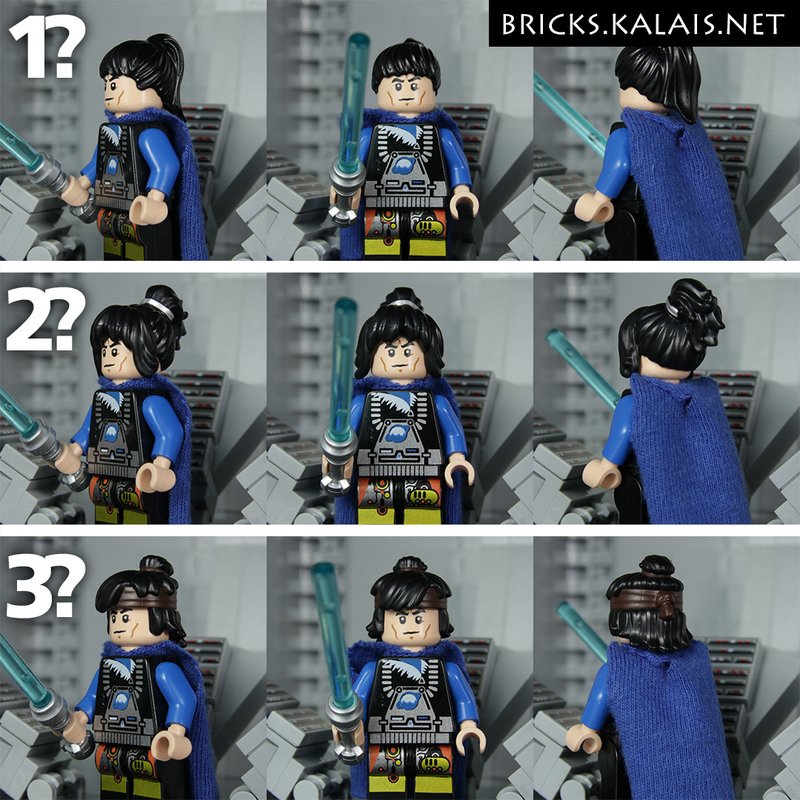 2 looks like Rose Tico. first of all I wanted to thank you all who supported my project! You are awesome! And straight to the point - I decided to refund all of your donations. $257 USD raised by 10 backers is just 4% of my goal and I think keeping it would be not fair to you. After all fees and and local taxes I would receive like half of that sum. This kind of money will not speed up the process of movie making. As for equipment I managed to get almost all missing pieces. The only thing I need now is time. So of course Escape II will be made. With no budget it will be much harder. But I will make it anyway I will probably delete some scenes and make it with less frames per second to speed up process and make it cheap as possible. If you would like to support this movie in less direct way please make purchase at my Bricklink shop. Big part of earnings from this shop goes into production of the brickfilm. P.S. Everyone who supported project on Indiegogo will get constant 10% discount at my Bricklink Shop for 6 months (till 1 July 2019) for all loose LEGO parts! Please send email to the [email protected] with name and email used on Indiegogo donation and your bricklink account name to receive the coupons. Thanks!